Long time no cooking, no writing. But in the archived files, I found this recipe I never wrote, inspired by the movie I re-watched many times over: chef. 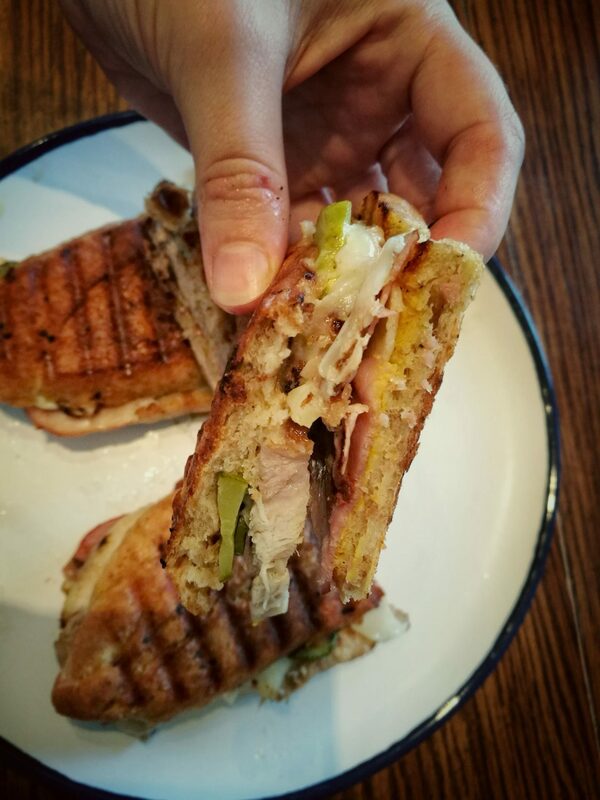 The story is about a chef that leaves fine dining and opens a food truck, with non prestigious street food and the center of it all is: el cubano. 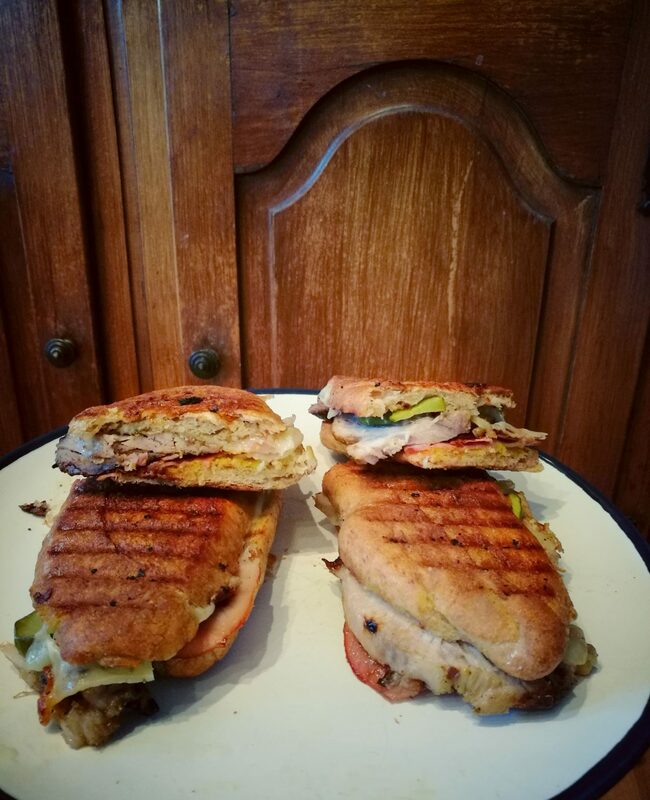 Marinated tender pork with mustard and sliced pickles, in a crunchy buttery baguette. 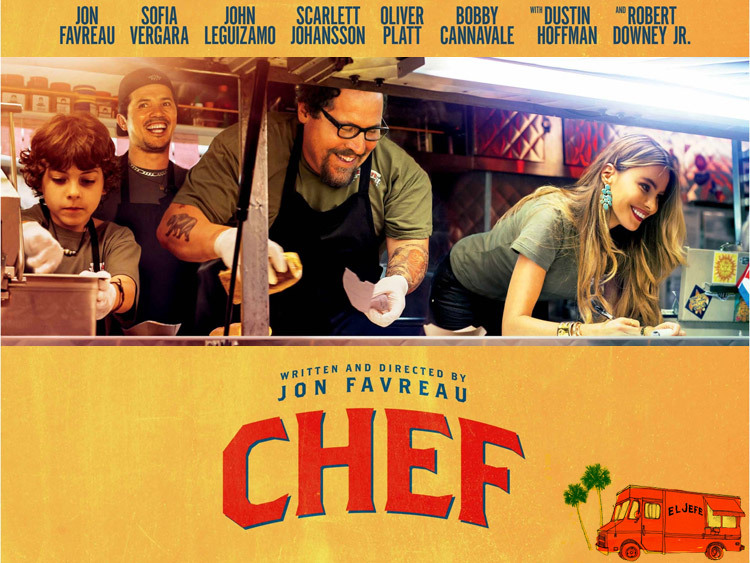 The movie is a classic feel good show with delicious, simple recipes. 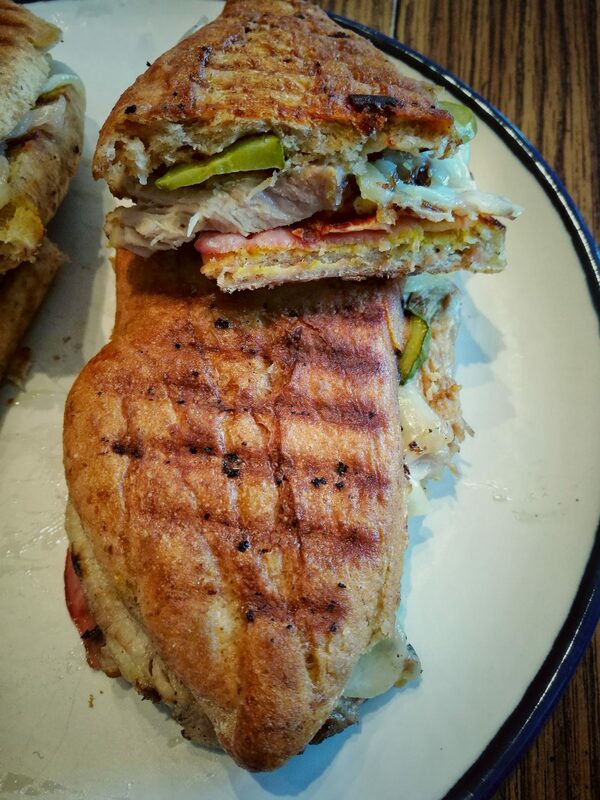 And my boyfriend called this one the king of the sandwiches, which seems apt. In a bowl, whisk together all of the ingredients for the marinade. Transfer the marinade to a large resealable plastic bag and add the pork. Seal the bag and turn to coat; set in a baking dish and refrigerate overnight. Preheat the oven to 220 Celsius degrees. Transfer the pork to a work surface; discard the marinade. Fold the pork under itself, optionally tie with string to form a neat roll. Season all over with salt and pepper and set it on the rack. Roast the pork for 30 minutes, until lightly browned. Reduce the oven temperature to 190 Celsius and roast for 1 hour longer. Let it rest for 30 minutes. Heat a large cast-iron griddle. Add the ham slices to the griddle and cook over moderate heat, turning once, until browned in spots, about 1 minute. Transfer ham to a plate. Generously brush the outside of the sandwiches with butter and set them on the griddle: top the sandwiches with a large baking sheet and weigh it down with heavy cans or a cast-iron skillet. Cook the sandwiches over moderate heat until they’re browned and crisp on the outside and the cheese is melted, 3 minutes per side. Serve hot with a cold cerveza.